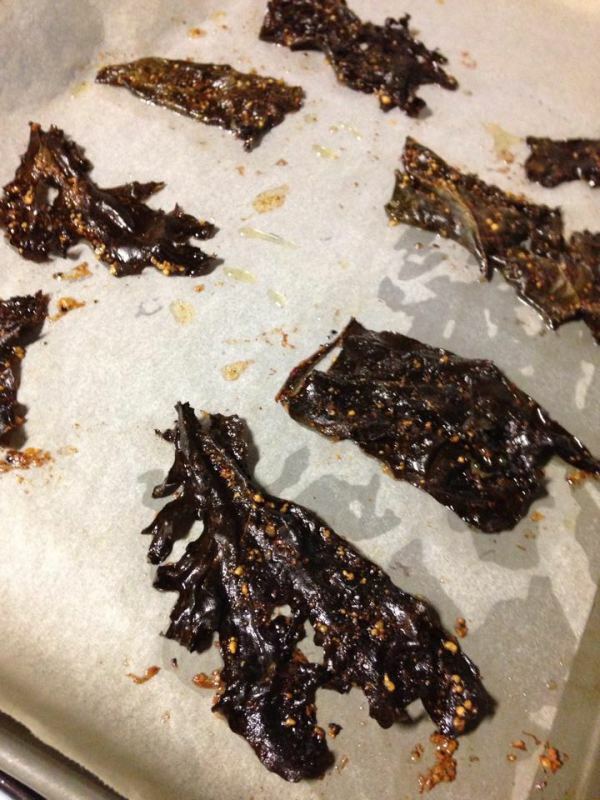 I make these for snacks for my son, but the trouble is I eat half of them before they even get to the jar!! Wash the kale under running water and shake to dry. Remove stalks and discard into your compost bin. Slice the kale leaves into large pieces. In a large bowl combine olive oil, parmesan cheese, cajun seasoning and salt. 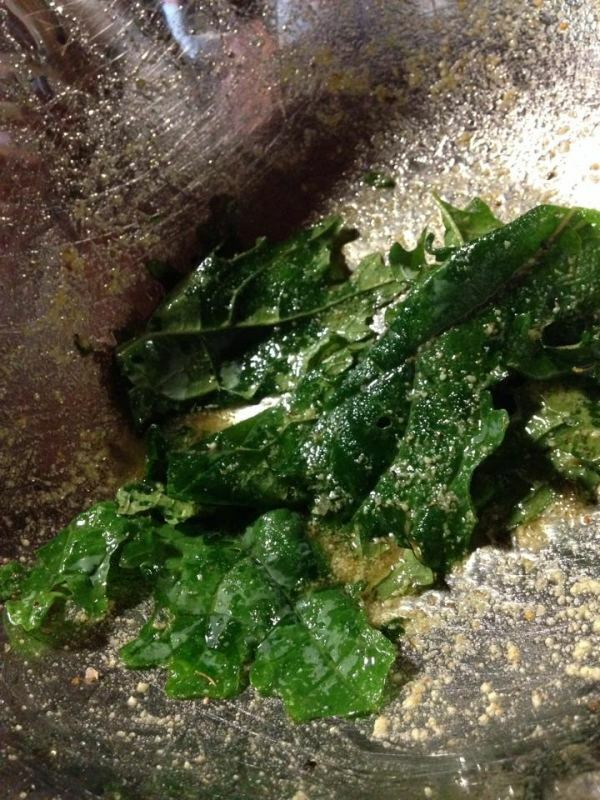 Throw in your kale leaves and mix around until your leaves are covered in the oil mixture. Line a baking tray or two with greaseproof paper. 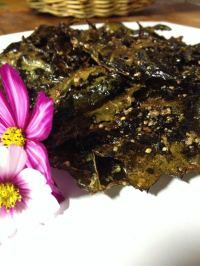 Lay each kale leaf flat on the baking paper and bake for between 5 - 10 minutes or until crispy. Time may vary depending on your oven so keep a close eye on it and make sure the kale doesn't burn. 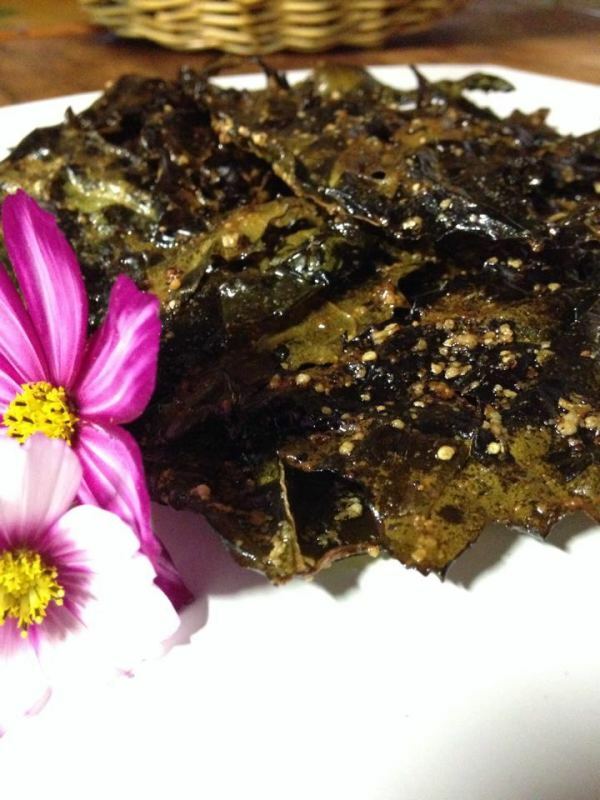 Allow Kale Chips to cool on a plate to go extra crunchy before storing. Adjust the amount of oil coating mixture to suit the amount of kale you have. You can experiment with different flavours other than cajun of course. Store in a glass jar in the cupboard.